Modern cars have so many sensors, wires and computer pieces. If something does go wrong it can be really hard to figure out what is happening? Getting Elkhart Mechanics to run a diagnostic test is not only the best thing you can do, it will also save money and time. There are hundreds of codes a car can send. Everything from bad sensors to misfiring cylinders, so how are you supposed to figure out what is wrong? Again you could spend thousands of dollars and hours replacing parts that weren’t bad in the first place. So when your car is running weird and that check engine light comes on bring it to Elkhart Mechanics for a full diagnostic test. You’ll be glad you did. When your car’s “check engine” light comes on, it could indicate any of a large number of problems that need attention. In newer cars, what your check engine light is really saying is to check your cars onboard computer system. An engine diagnostic is a test of all the functions of your vehicle that are controlled by the onboard computer system, such as fuel injectors, spark plugs, and steering. Doing an engine diagnostic test of your car’s onboard computer system can save you a lot of time, money, and guesswork. Elkhart Mechanics has the most efficient engine diagnostic equipment, so we can catch any problem your cars computerized parts might have. We can also run the test very quickly, so we can get to work on any necessary repairs, and you can get back on the road. One of the worst parts of taking your car to a garage is when you bring your car in for one problem, but the mechanic discovers several other problems, which cost a considerable amount to repair. It is true that an engine diagnostic test can reveal many potential problems in your car, even with parts that seem to be working fine or parts you never even knew your car had. At Elkhart Mechanics, we will take the time to discuss the results of your engine diagnostic in detail with you. We will let you know which parts could cause other parts to malfunction if they are not repaired soon and which problems will not compromise your car’s roadworthiness in the foreseeable future. 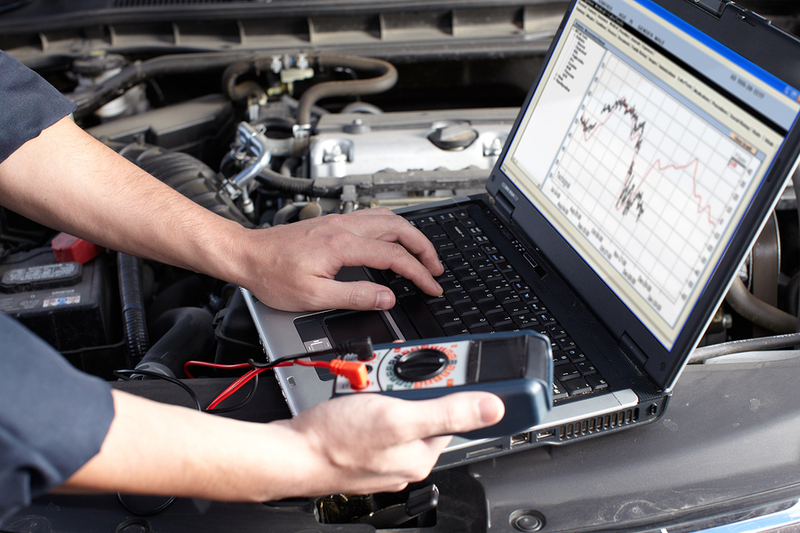 An engine diagnostic is only a comprehensive look at all your car’s parts from a computer’s point of view. It is not designed to make you worry and convince you to spend money on repairs and new parts that you do not need.